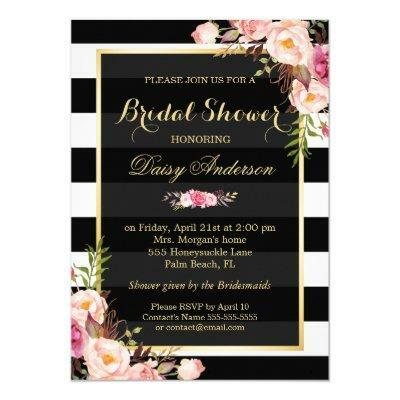 Wedding Bridal Shower - Elegant Vintage Watercolor Flowers Decor in Black White Stripes with Gold Frame - A Perfect Design for your Big Day. (1) All text style, colors, sizes can be modified to fit your needs. (2) If you need any customization or matching stationery, please feel free to contact me.